Loom: ‘Premium’ Chunky Round Loom Set, 24 peg loom used. Notions: knit hook, sewing needle. 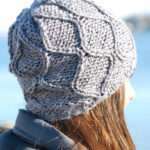 Gauge: 8 stitches & 11 rows to 3″ of pattern. 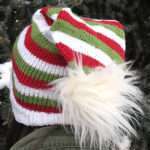 Finished Size: Adult 8.5″ around by 12″ long measured from cuff to finger tip. 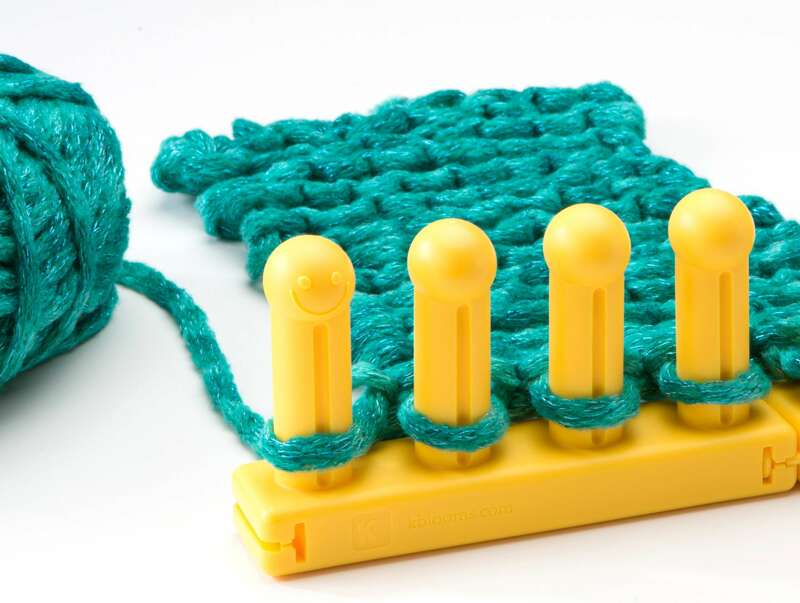 The cable (cbl) is worked over two stitches: to create the cable, skip the first peg keeping the working yarn behind the peg, proceed to the second peg, ewrap and knit over the second peg, lift the new loop off the peg and hold with your fingers making sure not to untwist the loop, move the stitch from the first peg and place on the second peg, place the stitch you are holding on to the first peg, gently tug on the working yarn to tighten the stitches, ewrap and knit over the second peg. The cable is now complete. 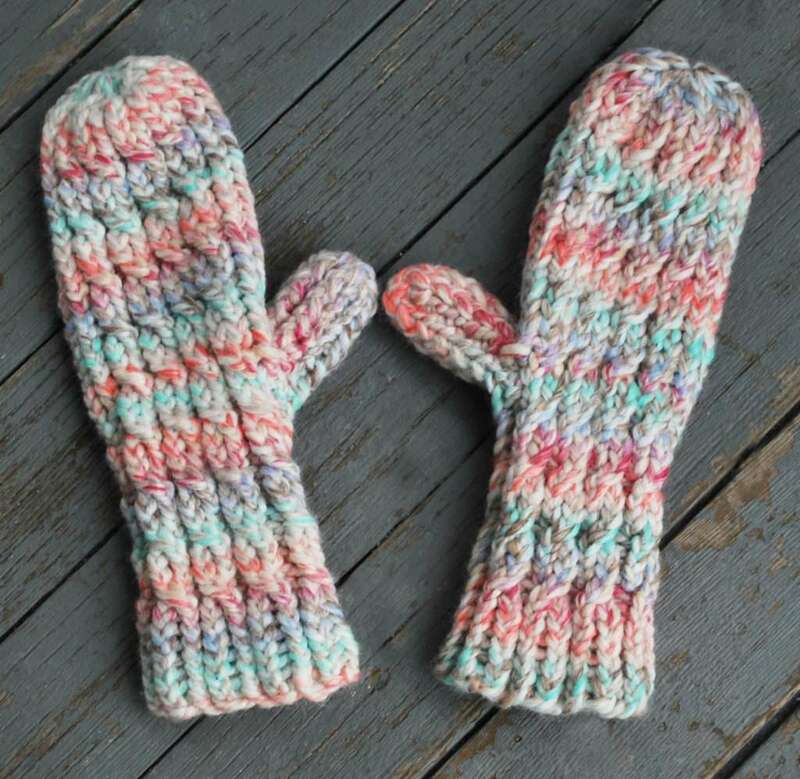 The left mitten is worked clockwise, the right mitten is worked counter clockwise. Ewrap cast on 24 pegs, prepare to work in the round. The thumb is worked as a flat panel, worked over pegs 20-24 (5 pegs total). Repeat rows 1& 2 for 24 rows. Prepare to work in the round, continuing from row 22 that was worked in the round for the mitten body. Adjust pattern accordingly to insure a perfect fit. 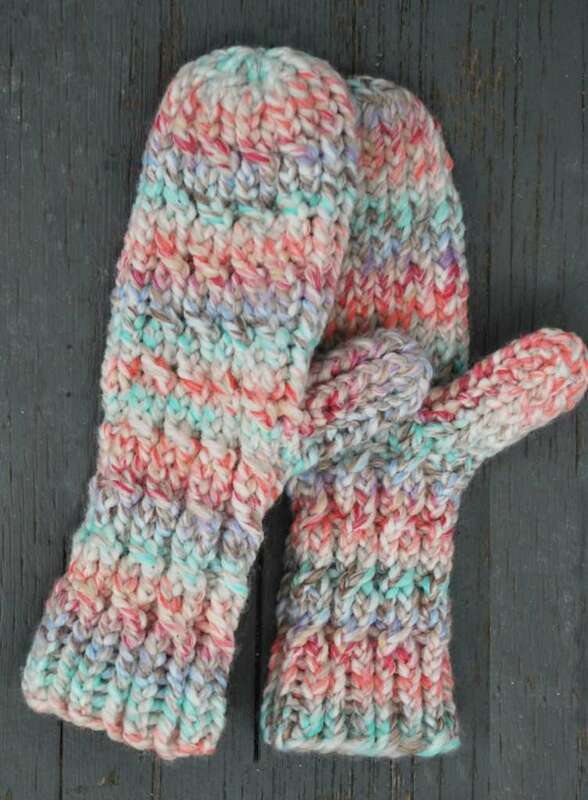 Bind off with gather bind off method. 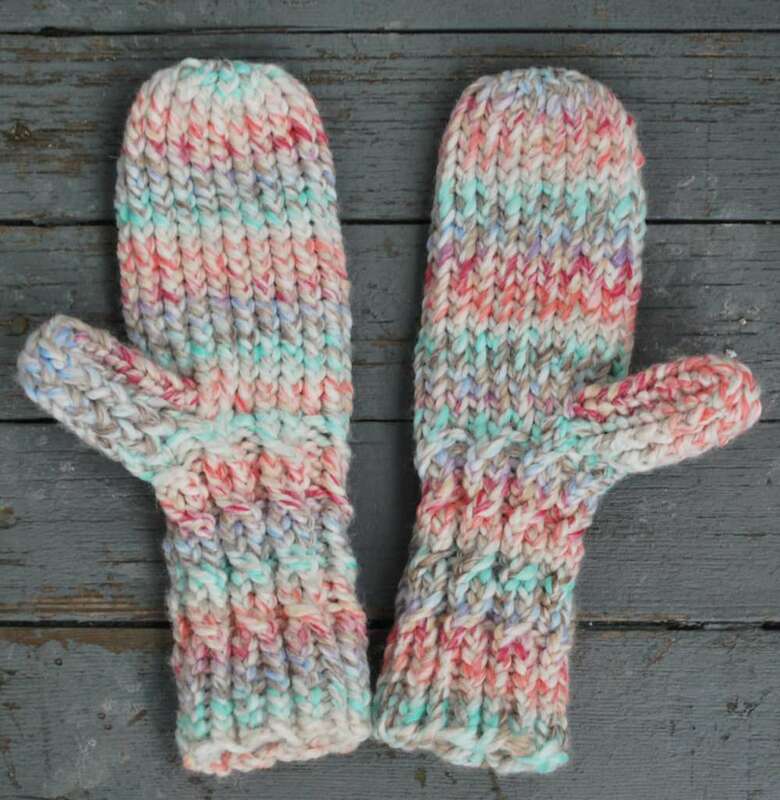 Turn mitten inside out, using a 12″ piece of matching yarn sew up both sides of thumb from the inside of the mitten. Set stitches by gently tugging on the cast on edge and bind off edge.